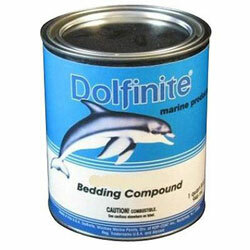 Dolfinite Bedding Compound a one part bedding compound recommended for bedding mechanically joined parts like keels, transoms, and deck hardware. Not designed as an adhesive, but provides a waterproof seal. Type: Stiff Blade, Blade Width: 1"
Type: Flexible Blade, Blade Width: 1"